The GAA could take a leaf from Sky Sports’ and Football First’s book as showing more action will only increase the profile of its games. It can feel like that sometimes as the lack of GAA coverage has meant fans missing out on action from some mouth-watering games. In recent weeks, there were no cameras at Kerry v Donegal, Mayo v Down and Dublin v Kilkenny, to name but a few. Far from the all-seeing world of the Premeir League and Football First on Sky Sports. 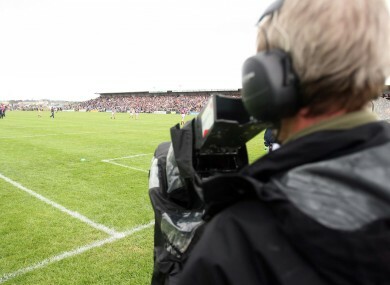 RTÉ have pointed to the financial constraints they are under while experts have admitted that it can cost close to €20,000 to cover a single game requiring outside broadcast facilities, satellite feeds and production staff. Last season, there was uproar in hurling circles as the mouthwatering qualifier clash of Cork v Galway was not live on TV – with the TV companies continually having to cherry-pick what they think will pull in the best ratings, which is understandable in economic terms. Broadcasters have come in for widespread criticism for their dearth of coverage and, allied to that, not even giving a cursory glance to the weaker counties. Unless you consider a graphic of all league tables worthy of mention. At the same time, TV coverage was reduced by the GAA in 2011 with director general Paraic Duffy worried about over-exposure and attendances at club games being hit. For TV stations depending on advertising revenue, it never pays to show the minnows. It is easy to throw stones, but the idea of attendances being hit is two-sided. Duffy might be right in one sense but there is an argument to be made that the under-exposure of inter-county games will lead fans to get their sporting fill elsewhere. No doubt rugby and soccer, with Euro 2012 imminent, have and will command plenty of limelight. For those lucky enough to attend the un-televised clash between Kilkenny and Dublin at Nowlan Park recently, you were one of just 5571 who will ever experience what could be the game of the year. In microcosm, it’s akin to Sky Sports not having coverage of the iconic fixture of the 90s: Liverpool 4-3 Newcastle United in 1996. Truly, it was heart-pulsing stuff – league or not. While the GAA are worried about overuse of the whip, Sky are flogging soccer for all it’s worth. Football First gives fans of each Premier League team a chance to see extensive highlights (40 mins approx) of each game and in many ways this is something a very profitable GAA could look at. Be it through an Irish broadcaster or through their own devices – hosted on their own website (NBA. com is a perfect example) or TV channel. It is something they can sell to a massive and ever-growing diaspora worldwide. If soccer teams can have their own channel, then why not the GAA too? From the massive Irish community in Yonkers, New York to those in Australia, there are many who would pay for this kind of service. In recent summers, Irish in the US and Canada (for example) often had to fork out as much as €20 per game to watch games on i-Setanta. While pubs showing GAA games usually had a Setanta representative charging fans €20 at the door for access. That was the conditions under which pubs were granted coverage, as we experienced first-hand. There must be another way. GAA First being one, if the money was put into it. Subsequently, if there were access to more GAA games, that would lead to far more discussion. Which can only be good for the GAA when it is in competition with soccer, rugby and of course the impending Olympics. To hark back to the Dublin-Kilkenny game, there was actually relatively scant debate about a game that may eventually be quite indicative of the season to come. If those who had not attended it in the flesh been able to watch it later on, you could argue far more fans would turn out to see their teams on the next available occasion. The odd ex-pat might even make it their business to get home and see their team later in the summer too. In fairness to RTÉ, they will broadcast 31 championship games this season. In terms of the overall number of games last season, there were 62 in football, and 25 in hurling. Should that number be repeated in 2012 (replays may alter the figure), then just 36% of games will have been shown by the national broadcaster. The very idea would be anathema to the Premier League and Sky. And in terms of attendances, top-flights sides have remained steady between the 34,000-36,000 mark in the last number of seasons. The product is always in sight, and therefore always in mind. A lesson that perhaps, form which the GAA could learn. Email “Opinion: Out of sight, out of mind for armchair GAA fans”. Feedback on “Opinion: Out of sight, out of mind for armchair GAA fans”.